One VERY cool aspect to collecting anything is seeing how it was promoted and then received. 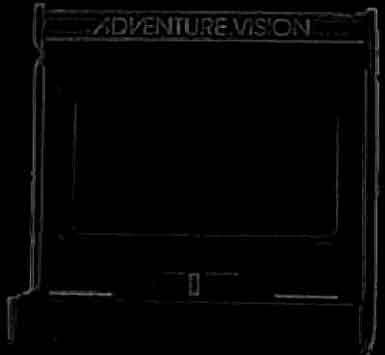 Even though the Adventure Vision was short lived, this quirky little gaming system has had quite a bit written about it(even TODAY). Conceptual drawing of the Entex Adventure Vision. Article archived by Steve Bender. Article archived by Cyril from RevivalGames.org. Article archived by Al Backiel. 1999 Digital Press Collector's Guide, Edition 5. Electronic Games - February 1983. Electronic Games - July 1982. Article archived by Ward Shrake. Electronic Games - July 1983. Article archived by Brett Walach. Picture provided by Will Fong. WANTED!!! SCAN of above insert WANTED!! !